In a House hearing for de-funding Planned Parenthood, women who have survived abortions testified. One of these is Gianna Jessen. Gianna’s mother tried to abort her baby 7 and a half months into the pregnancy. 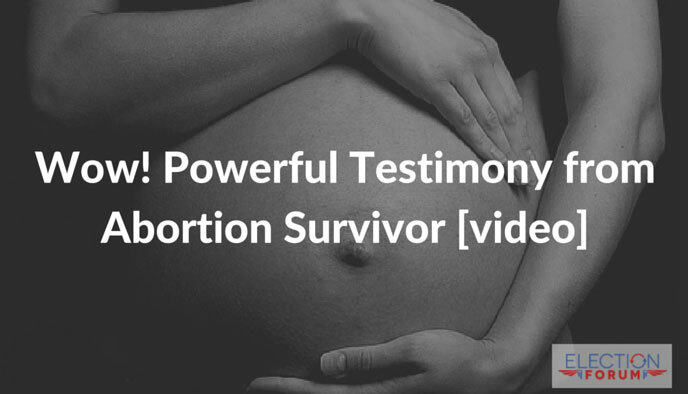 Gianna was born alive, but she testified that an abortionist “doctor” would have “finished the abortion” via strangulation, suffocation or leaving her to die. Since he wasn’t there yet, a nurse intervened, called an ambulance, and she was saved. “But we need Planned Parenthood to help women.” Democrats still resort to this cover up to re-direct attention away from Planned Parenthood’s atrocities, despite the fact that it has been exposed as grossly misleading and false. There are more than 13,000 health clinics in the country that provide comprehensive, compassionate health care to women WITHOUT being under investigation for committing heinous crimes. And the money currently going to Planned Parenthood can be redirected to these healthcare clinics. But the fight goes so much deeper than de-funding Planned Parenthood. Many liberals are completely closed to the practical, legal, and moral arguments to de-fund Planned Parenthood because they are completely sold on an entirely different moral view of life. They have shockingly inhumane attitudes towards what acts are humane in their eyes. The bottom line is this: they do not acknowledge the inherent value and dignity of every human life. And that’s where the battle truly lies.